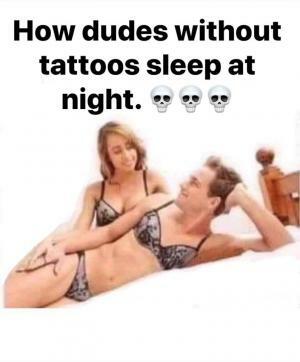 How dudes without tattoos sleep at night. 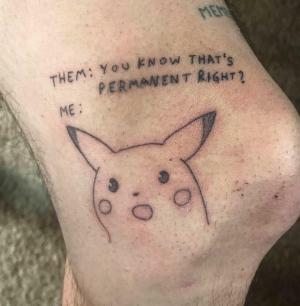 Them: You know that's permanent right? 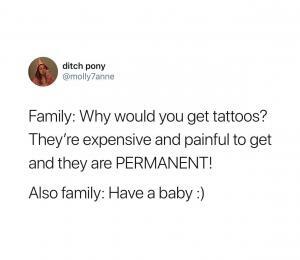 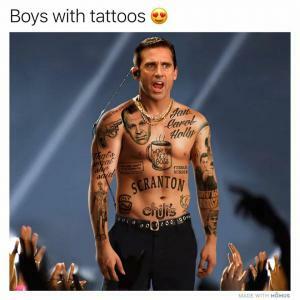 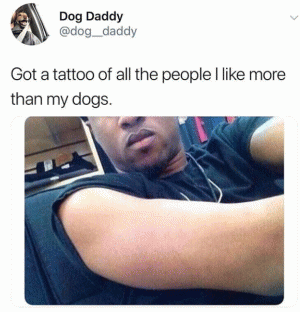 Family: Why would you get tattoos? 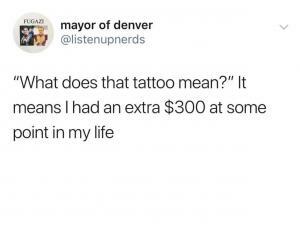 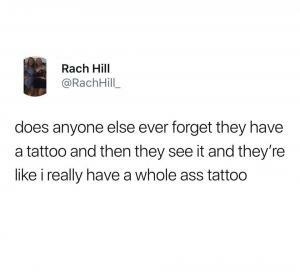 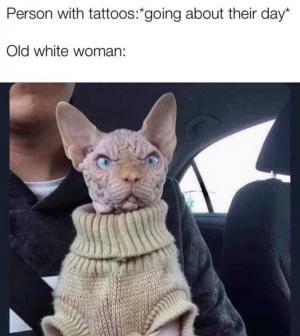 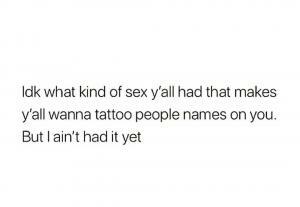 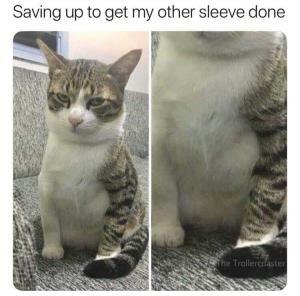 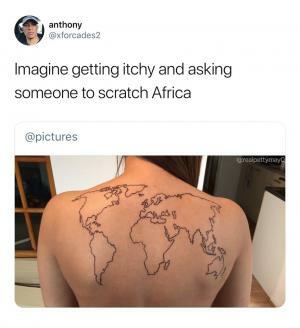 They're expensive and painful to get and they are permanent! 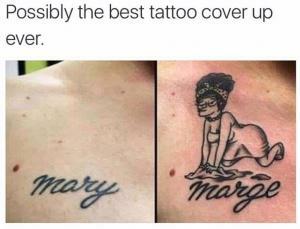 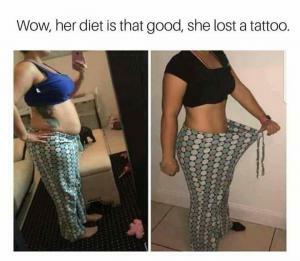 Wow, her diet is that good, she lost a tattoo. 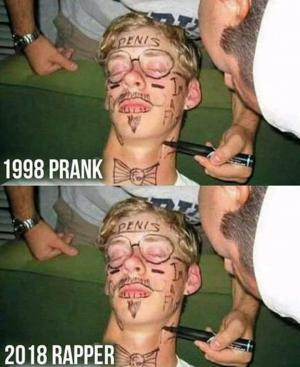 chicks be like "i'm tatted up"
Possibly the best tattoo cover up ever.